Big, clean and concise are the keys to a successful outdoor advertising campaign. 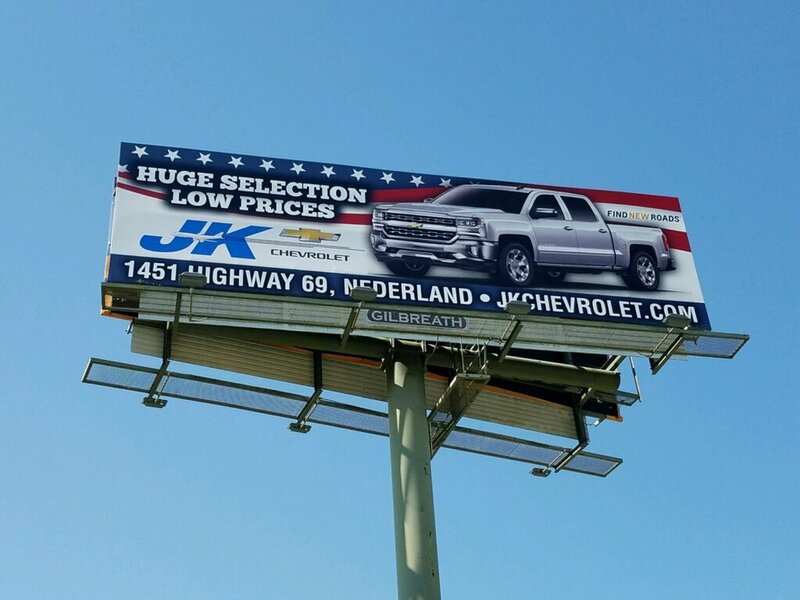 We pride ourselves on assisting clients in formulating an effective outdoor advertisement at Gilbreath Outdoor. An appropriate-sized and designed outdoor advertisement is imperative to a successful advertising campaign. We recommend utilizing contrasting colors and, when available, specific PMS colors that will formulate the advertisement. The most effective Ads use less than 10 words, so be brief and focus on the most important message you want to convey. Below are some examples of successful campaigns. Contact us today for an artwork consultation and be sure to check out the testimonials from happy customers. For artists, here are our LED/digital specs and our standard art specs.